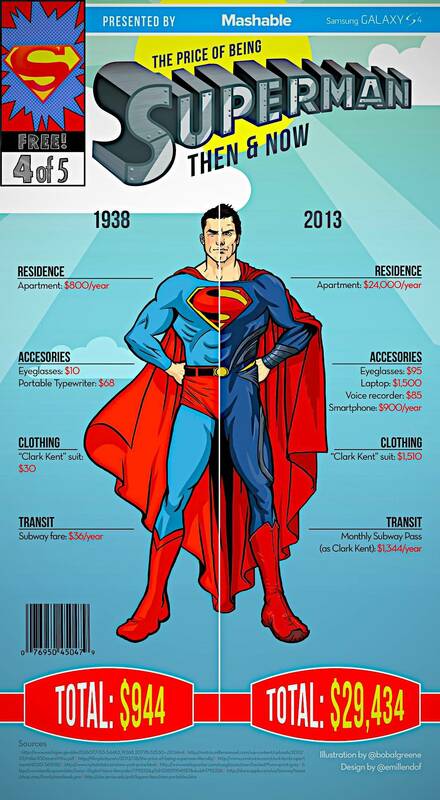 Mashable, the Internet’s most visited ‘blog’, in conjunction with Samsung have partnered with Graphic designer Emil Lendof and illustrator Bob Al-Greene to create an enlightening series of infographics detailing the estimated real world cost of what it means to be a superhero. 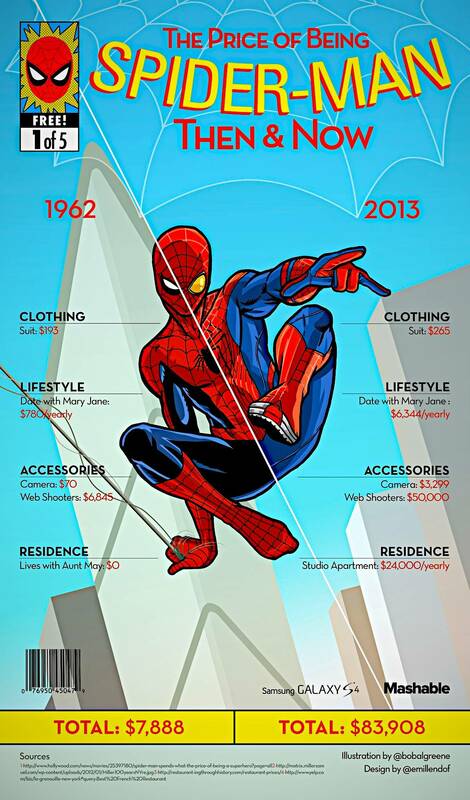 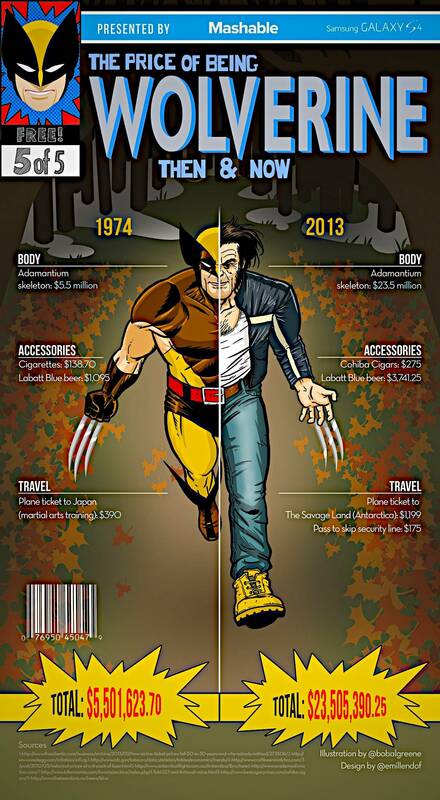 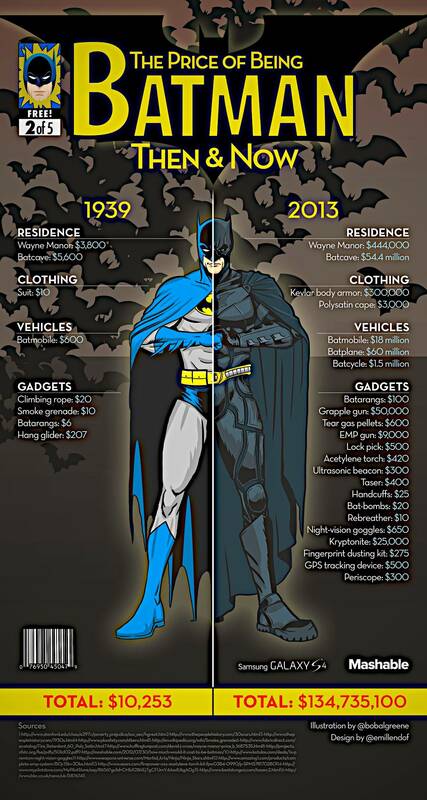 The infographics showcase the cost of being a superhero like Spider-Man, Batman, Hulk, Superman or Wolverine at the time each superhero was initially introduced to the world versus the what the cost of being that same superhero would be in today’s economy. 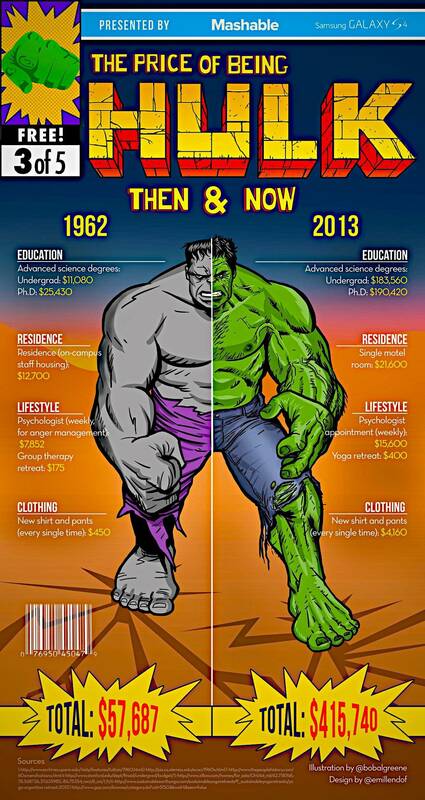 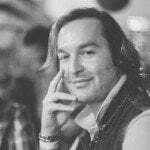 The estimated results are fascinating and offer clear insight into global economic inflation and the increased use and cost use of modern technology.